The Volunteer of the Year for 2007 is Mike Davis. Mike Davis is well known as the founder and director of HEROES (“Hometown Efforts to Rescue Our Endangered Society”). HEROES’ goal is to assist needy individuals, organizations and public spaces that need clean-up and fix-it-up support to make them safe and livable. 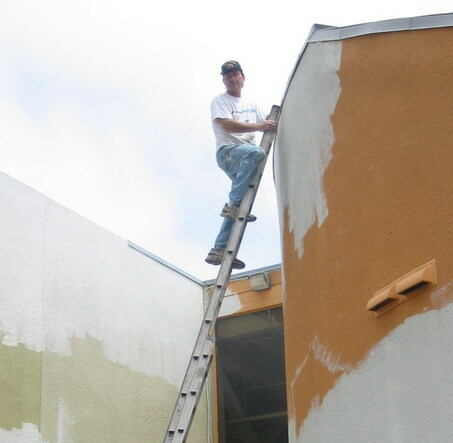 Since June 2005, HEROES has sponsored more than two dozen events, including painting Fire Station 38 and the Teen Center, and cleaning McAuliffe Park. Mike is an active member of MMTC, serving on the Board as First Vice President in 2005. For years, he has supported the Mira Mesa Street Fair, both in planning and being there all day to set up, execute and take down the event. Mike managed two successful “clean and green” events sponsored by the community pride committee – the last one collecting almost 60 tons of trash. He is the military, USMC/CLF liaison for MMTC. He is a founding and participating member of the Taste of Mira Mesa MMHS Foundation fund raising event. He is on the board of “DOVIA” – a countywide organization aligned with “Volunteer San Diego” to assist volunteer managers in better performing their roles/duties. He recently trained and is in the process of getting assigned as a hospice volunteer for Vitas and the Veterans Hospital. Pictures from the Volunteer of the Year Dinner May 3, 2008 at the Mira Mesa Senior Center.